The President of Georgia (Georgian: საქართველოს პრეზიდენტი, sakartvelos prezidenti) is the head of state, supreme commander-in-chief, and holder of the highest office within the Government of Georgia. Executive power is split between the President and the Prime Minister, who is the head of government. The office was first introduced by the Supreme Council of the Republic of Georgia on 14 April 1991, five days after Georgia's declaration of independence from the Soviet Union. The President serves a five-year term. 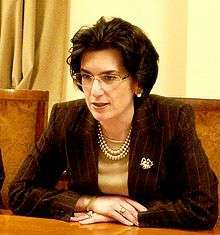 The incumbent is Giorgi Margvelashvili, who was sworn in on 17 November 2013. The President of Georgia is Head of State. The President is a guarantor of national independence and unity of the country. He/she ensures the functioning of state bodies in accordance with the Constitution. The President is the representative of Georgia in foreign relations. The President of Georgia is elected on the basis of universal, equal and direct suffrage by secret ballot, for a period of five years. The President may not be elected for more than two consecutive terms. Any citizen of Georgia who has the right to vote and who has attained the age of 35 years, has lived in Georgia for at least five years and has been living in Georgia for the last three years before the election is eligible to be elected President. The President of Georgia shall not have the right to hold any other position including a party position, engage in entrepreneurial activity, receive salary or another permanent remuneration for any other activity. The President of Georgia concludes international treaties and agreements and conducts negotiations with foreign states in agreement with the government; on the recommendation of the government, appoints and dismisses Georgian ambassadors and other diplomatic representatives; receives the credentials of ambassadors and other diplomatic representatives of foreign states and international organizations in agreement with the government; conclude a constitutional agreement with the Apostolic Autocephalous Orthodox Church of Georgia on behalf of the State of Georgia; nominates a candidate for the office of Prime Minister and appoint a Prime Minister in accordance with the Constitution; assigns the acting Government to perform their official duties until the appointment of the new Government in accordance with the Constitution; declares a martial law and state of emergency; nominates before Parliament, appoints, releases, and dismiss officials in accordance with the Constitution, appoint a member of the High Council of Justice as determined by law, participate in the appointment of the Chairperson and members of the Central Election Commission under the procedure and in the cases defined by organic law, nominate candidates for the members of the National Regulatory Authorities to Parliament in agreement with the Government; nominate a candidate for Chairperson of the Government of the Autonomous Republic of Ajara for approval by the Supreme Council within 10 days after powers of the newly elected Supreme Council of the Autonomous Republic of Adjara are recognized, after having consulted with the political entities represented in the Supreme Council, by prior consent of the Government of Georgia; on the recommendation of the government and with the consent of Parliament has the right to halt the activities of representative bodies of self-government or territorial units as well as of state bodies; signs and promulgates laws; has the right to dissolve Parliament under certain conditions set by the Constitution; decides questions of citizenship and the granting of political asylum; grants pardons; schedules elections of the President, Parliament and other representative bodies; is the Supreme Commander-in-Chief of the Armed Forces; and appoints members of the National Security Council, chairs its meetings. Appoints and dismisses military commanders in agreement with the government. 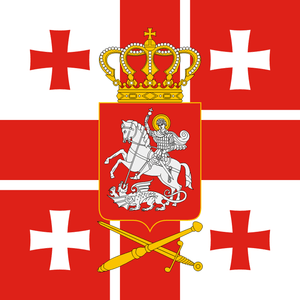 The president of Georgia issue decrees, edicts, and ordinances, also orders as the Supreme Commander-in-Chief of the Armed Forces of Georgia, to exercise constitutional powers. The President of Georgia also exercises other powers defined in the Constitution. Legal acts of the president require countersignature from the Prime Minister. 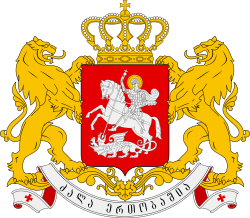 Exceptions are: Order of the President, except as directly provided for by the Constitution; the legal acts of the President of Georgia that, under the Constitution, have been issued on the recommendation of the Government or that have been preliminarily approved by the Government. Countersignature shall not be required also for the legal acts of the President of Georgia that relate to: scheduling of elections and dissolution of Parliament on the basis of Article 80 of the Constitution, convocation of first meeting of the newly elected Parliament, also of a special meeting or session of Parliament; signing and promulgation of laws, also return of draft laws with comments to Parliament; nomination, appointment, and dismissal of officials defined by the Constitution unless otherwise provided for by the Constitution; appealing to the court or the Constitutional Court; nomination of a candidate for Prime Minister and appointment of the Prime Minister; imposition of temporary obligations on the Government under Article 80(1) of the Constitution; granting of state awards and special ranks; granting and termination of citizenship; requesting to consideran issue at the meeting of the Government as determined by Article 78(6); activities of the Administration of President and the National Security Council; declaration or revocation of martial law; granting pardons to convicts. Any legal act of the President that requires countersigning shall be promulgated and shall give rise to legal consequences only in the case of countersignature. In the case of countersignature, the responsibility for legal acts shall rest with the Government. The President enjoys immunity. During his/her period in office, he/she may not be arrested, and no criminal proceedings may be instigated against him/her. In the event that the President violates the Constitution, betrays the state or commits other crimes, Parliament may remove him/her from office with the approval of the Constitutional Court. Security of the President of Georgia is provided by the Special State Protection Service. In the post-coup absence of legitimate power, a position of the Head of State was introduced for Georgia's new leader Eduard Shevardnadze on 10 March 1992. After the adoption of a new Constitution on 24 August 1995, the post of President was restored. 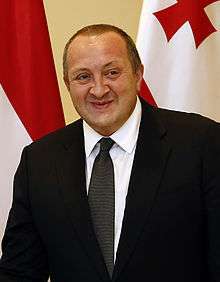 Shevardnadze was elected to presidency on 5 November 1995, and reelected on 9 April 2000. He resigned under pressure of mass demonstrations known as Rose Revolution on 23 November 2003. 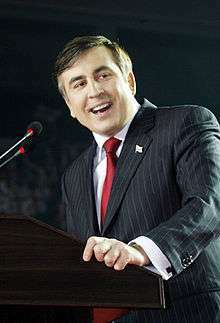 After Nino Burjanadze's brief tenure as an Acting President, Mikheil Saakashvili was elected on 4 January 2004. He did not serve his full first term, but voluntarily resigned to defuse tensions in the aftermath of the 2007 Georgian demonstrations and brought the presidential elections forward from the original date in autumn 2008. He was reelected on 5 January 2008.